Nepal is a small south Asian country that boasts a tremendous diversity of terrain, climate, and wildlife. While it is best known for having eight of the world’s ten highest peaks within its borders, Nepal’s geography consists of three very different zones. The northern part of the country, the Himalayas, contains the highest mountains in the world, including Mount Everest at 29,029 feet. The Hill Region abuts the mountains, up to about 13,123 feet, and the southern lowlands, or Terai, bordering India, is a plains region with a steamy, subtropical climate. In these three regions are species as diverse as blue sheep, Himalayan tahr, snow leopard, Indian rhinoceros, wild boar, and several species of deer. Modern-day hunts are conducted in the Dhorpatan Game Reserve. Hunting blue sheep and Himalayan tahr here is arguably one of the world’s greatest mountain hunts. It’s possible to go in either fall or spring. It goes without saying that the Himalayas are high and very steep, so this is an extreme hunt requiring excellent physical fitness. There is usually a two- to four-day hike just to get to the hunting area after a helicopter drops you off at 10,000 feet. Experienced Sherpas carry much of the gear. Tahr are found near timberline, around 12,500 feet, in steep, cliffy areas. Blue sheep are the world’s highest-dwelling large mammal and are hunted at altitudes of 16,000 feet or more. Other species that are legal to hunt in Nepal include the Indian muntjac or barking deer, wild boar, and hog deer. Most hunters come for sheep and tahr, and a few also hunt muntjac, which can be found in the mountains and hill zone. Hog deer and wild boar are rarely hunted as they are found in the plains regions where there is currently no organized hunting. Most hunters arrive in Kathmandu. Unless you are a citizen of India or Nepal, you must have a visa. Nepali embassies and consulates issue visas with no fuss. You can download a visa application form from the websites of the Nepali embassy in Washington, DC (www.nepalembassyusa.org) or London (www.nepembassy.org.uk). You can also get a visa upon arrival. To do so you must fill in an application form and provide a passport photograph. A single-entry visa valid for 15/30/90 days costs US $25/40/100. If you are bringing your own rifle to Nepal you will need someone to help facilitate the details of entry and exit procedures, so be sure to arrange this with your outfitter. You should provide the details of the firearm you are bringing to your outfitter well in advance, and they will arrange to have the government of Nepal issue the firearm and ammunition license. After passing through immigration and collecting your baggage, you will be required to have your firearm checked and receive a firearm permit. As in most Asian countries, this is not something you should attempt to handle on your own. Hunts in Nepal take place at extreme altitude in very challenging terrain, and good physical condition is a must. Average shooting distances can be very long, so rifles in the .300 magnum class are generally recommended, and hunters should be well-practiced and comfortable shooting at distances of 500 yards and more. Hunters contemplating a trip to Nepal should be aware of the potentially fatal risks of hunting at high altitude, and it is essential to discuss preparations with a medical professional beforehand. 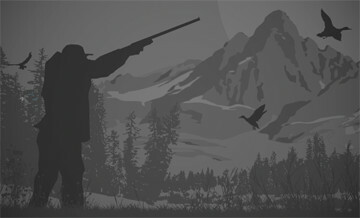 Most hunters take prescription Diamox to prevent pulmonary edema. The mountains can get extremely cold and windy, and once on the hunt, you will likely be hiking and climbing extensively and staying in small tents. Consult with your outfitter for recommendations on clothing and equipment that will stand up to the harsh conditions. Your outfitter's staff will coordinate with local operators and government agencies to obtain the necessary export permits. 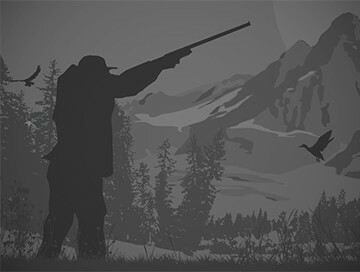 Extra time may be required after the hunt to have these documents prepared; if documentation can be arranged in time, it may be possible to take your trophies home with you.